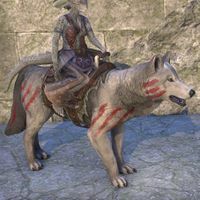 In the valley of the Karth, the Reach clans have domesticated the fierce ice wolves, which they have bred for size and endurance to serve as mounts. A raiding party of Reach warriors riding Karthwolf Chargers is a fearsome sight indeed. 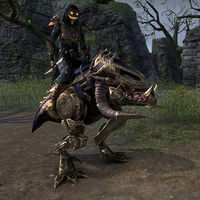 The Karthwolf Charger was previously available in the Crown Store for 022002,200 . Its default name is "Ice Loper". This page was last modified on 12 January 2019, at 10:43.